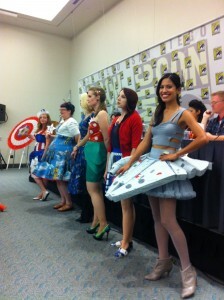 One of the panels we were most looking forward to at San Diego Comic-Con was the “Are You a Geek Girl Trendsetter?” panel. 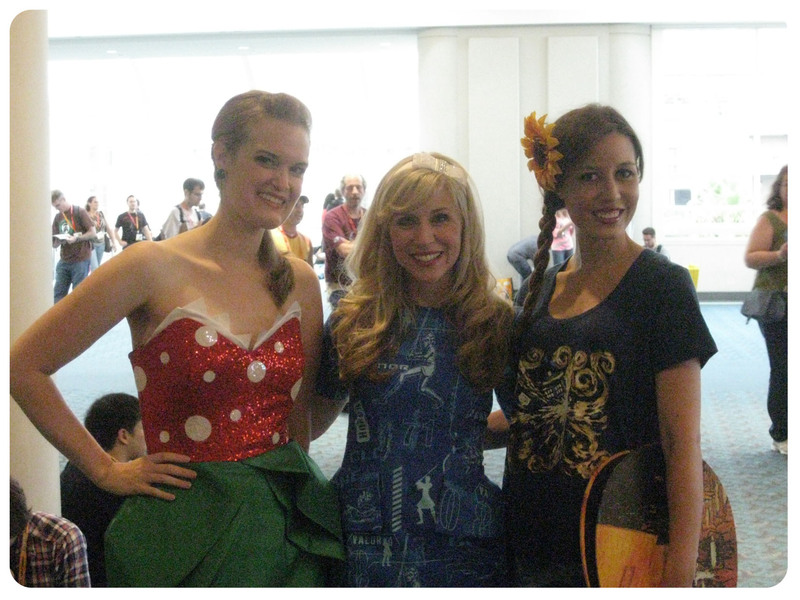 Run by Ashley Eckstein voice of Ahsoka Tano and owner of Her Universe, the panel focused on geek chic outfits either made or put together by a variety of girls. 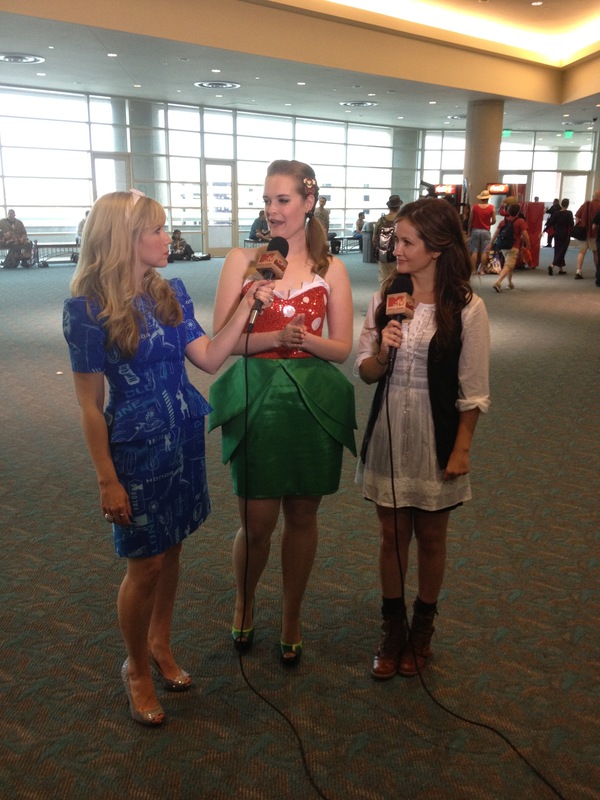 She was joined by her co-host and fellow voice actress from Star Wars The Clone Wars, Catherine Taber. In addition to Ashley and Catherine, there were 6 judges from various fashion professions who took part in the panel. 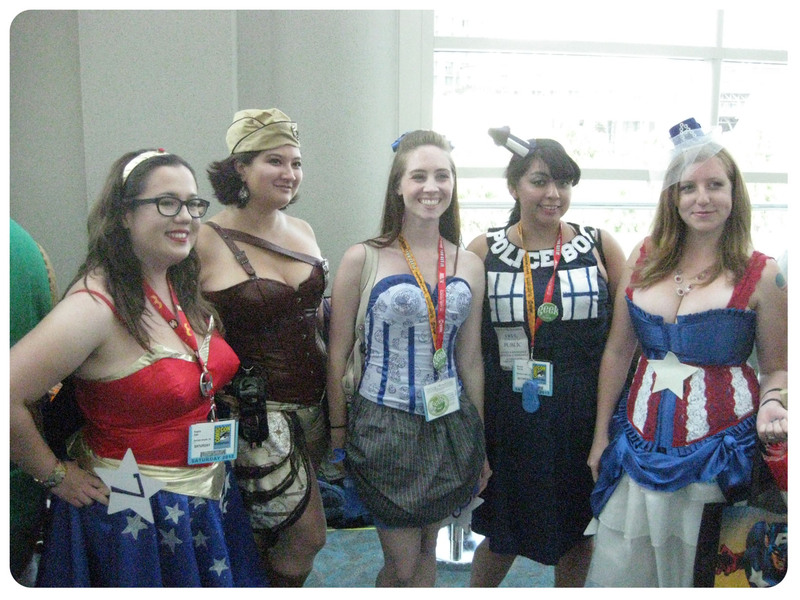 25 girls showed up to show off their geek chic outfits which was a great turn-out for a first time panel! 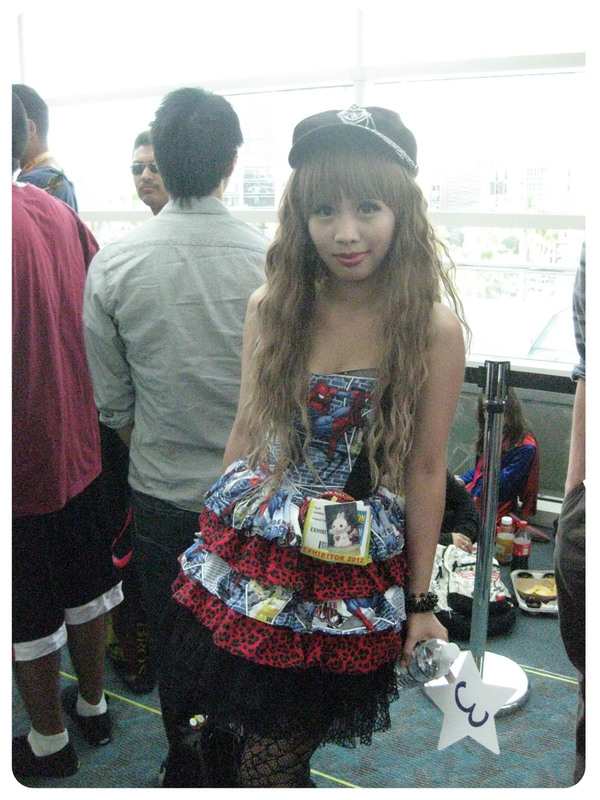 There was a mix of handmade and store bought outfits and each girl had some unique element that stood out. Here are a couple we ran into while in line. Scruffy showing off her Dr. Who Van Gogh outfit. Check out this gallery for more girls! 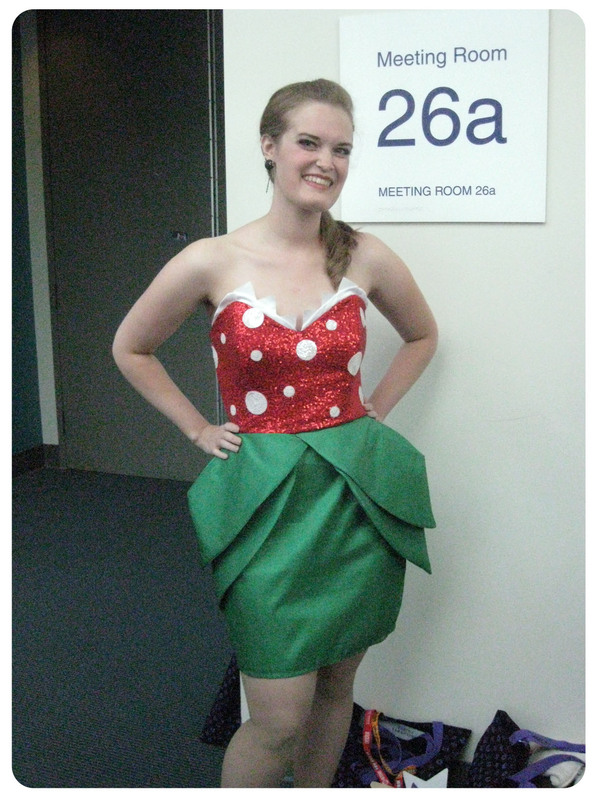 After all the girls showed off their outfits, each of the judges picked their favorite outfit. The top 6 girls then had the opportunity to talk a little more about their outfits to the judges. I was lucky enough to be picked as a finalist! Once everyone had an opportunity to speak, the judges narrowed the choices down to their favorite 3. 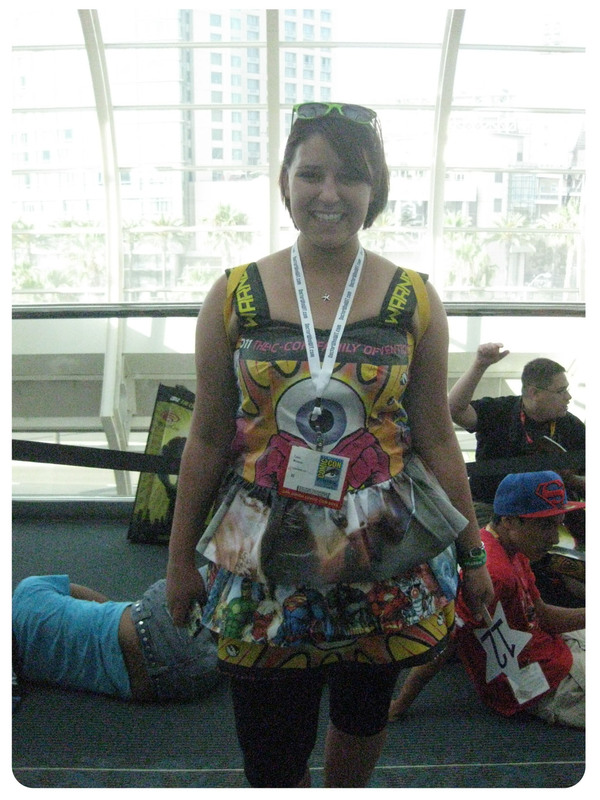 The lovely Jennifer Landa won 1st with her Millennium Falcon dress. 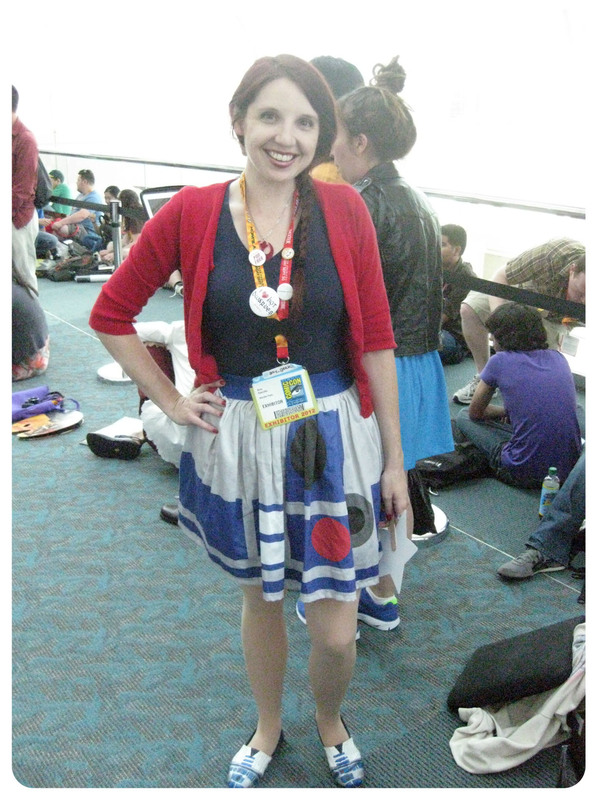 Third was this amazing Star Wars dress made out of vintage curtains. Lastly, I won second! 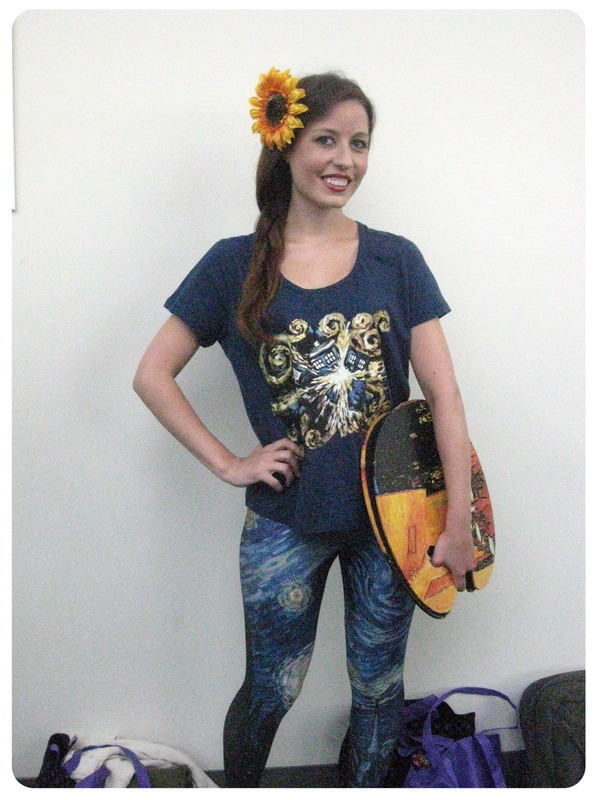 I was beyond thrilled and glad I had the opportunity to show off my creation. Overall I’d say it was a pretty good experience. 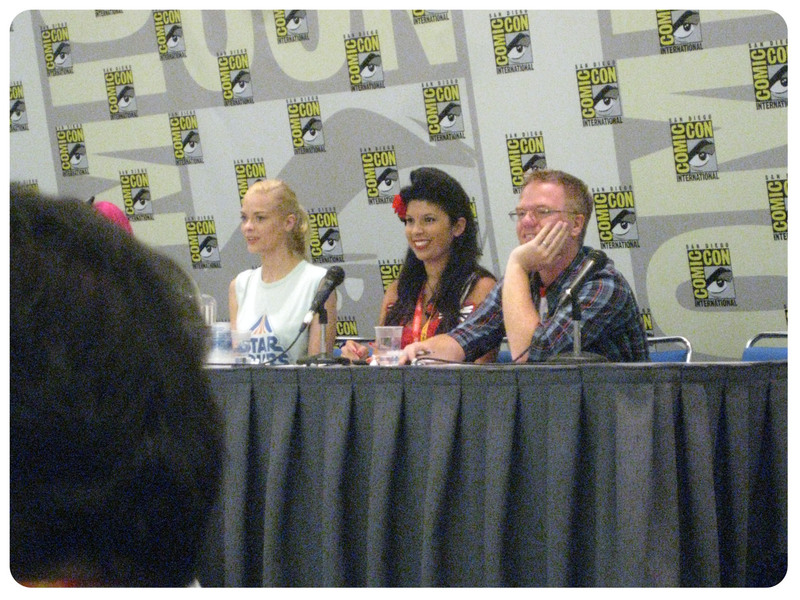 My one complaint is that the panel ended too soon! 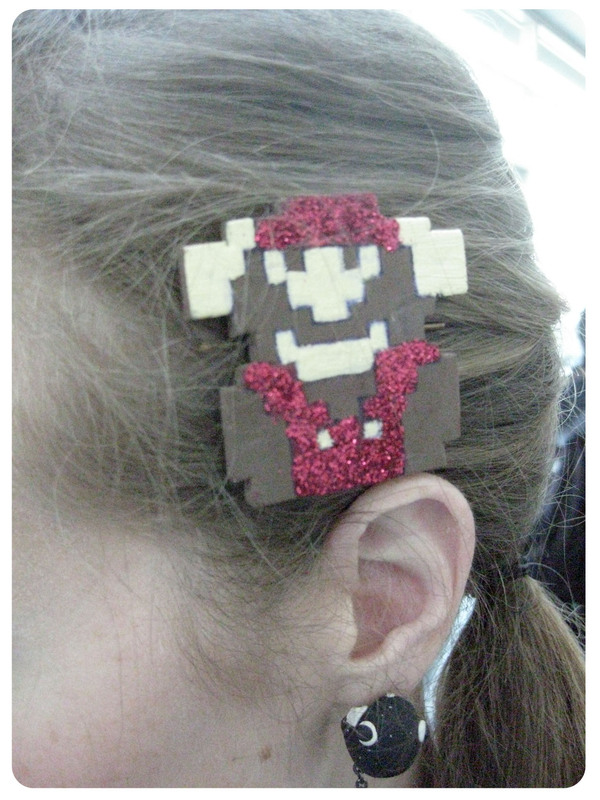 We’re definitely looking forward to next year, and hope there will plenty of time for even more discussion of geek girl fashion. 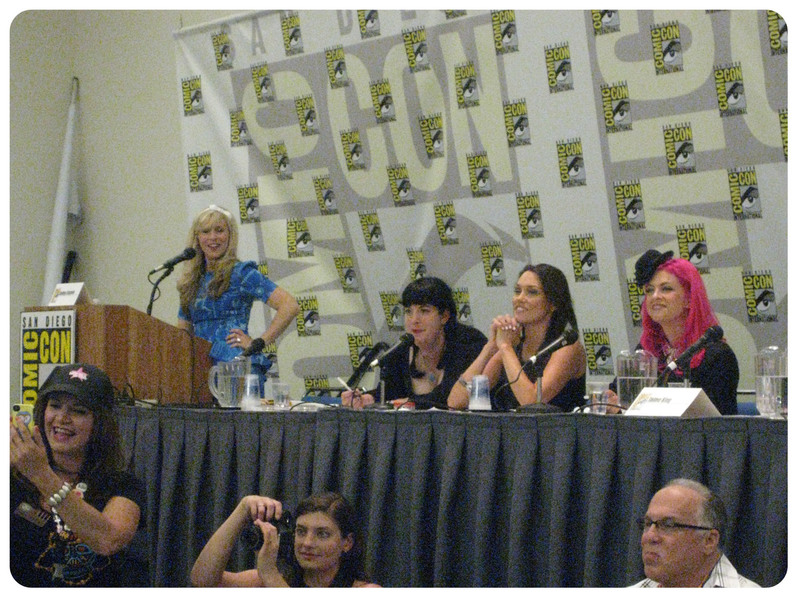 In addition to the panel, we were interviewed for MTV Geek and will be posting that as soon as it’s available! 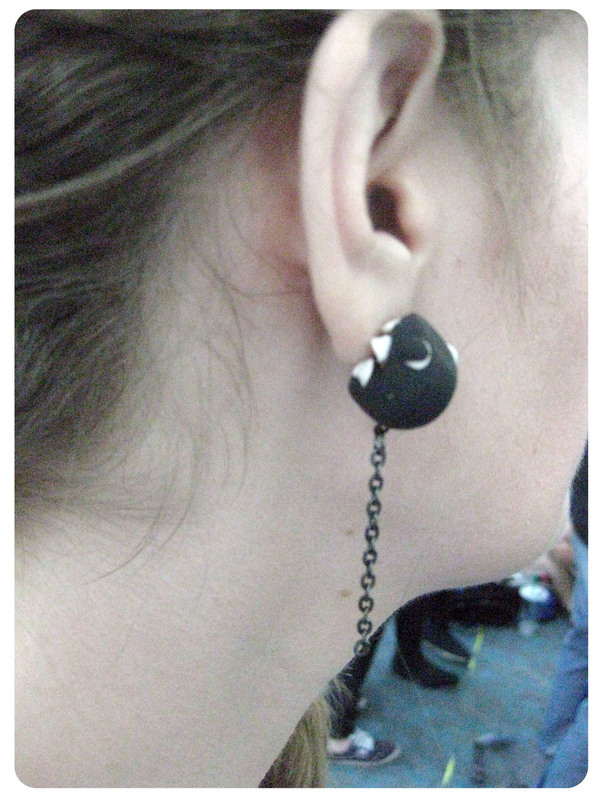 Geek Chic (Internet) Finds of the Week!